Fully renovated and with 4 ensuite bedrooms this charming property offers huge potential, . . . 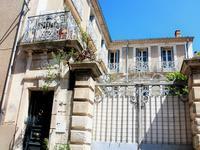 Located just around the corner of the historic town Centre and its famous rue de la . . .
One of a kind! Partly-restored 3 bed village property on large plot with far-reaching views. Just minutes from Pézenas. Charm, character, potential! Enjoy the views, the nature, the fresh air oﬀered by this unique house built on the hillside . . . 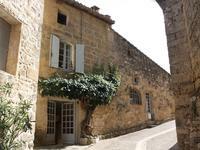 Quietly situated in the heart of the circular medieval village of Saint Pons de Mauchiens and . . . Stunning 350m² Maison de Maître, perfectly renovated, close to Pezenas with lovely leafy courtyard and business potential. business potential. This perfectly renovated Maison de Maître is currently used as B&B with . . . Originally built in the late 1800’s this tastefully and carefully renovated Maison de . . .
A lovely easy to manage detached villa built in 1985 with 128 m² of habitable space. Ready to . . .
Near Pezenas a super completely renovated character village house with 5 bedrooms, two bathrooms, a small private courtyard and garage. 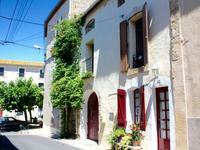 Gorgeous village house, totally renovated with a delightful courtyard and garage in the . . .